So what do you have planned ? A new colour scheme ? A new tree ? or are you sticking to your family traditions and getting all the ornaments out of storage, that you’ve collected over the years. I decided to take a look at what is new this year in the way of trends, not that I plan on keeping up with the Jones’s, but I like to stay informed and add just a couple of new pieces. Separate from this we are seeing lots of pastel colouring, pink is not my cup of tea – I personally don’t think it belongs near Christmas, but hey everyone can choose the décor and colouring that works for them. It seems that pastels are in, pink, lilac, green and blues together making an almost Rainbow Tree seems to be on trend for 2018. But a BLUE CHRISTMAS tree, I don’t mean blue baubles and tinsel I mean the actual tree… I am not sure where this trend has come from but I can't do it... For me Green or White are the colours of the Christmas tree and WHITE only because of the concept of a ‘White Christmas’ we all love pretending it’s a snowy white tree … If you haven’t seen the ‘blue tree’ search it you just have to see it for yourself - ‘blue Christmas tree in google and hit images – It’s just too much for me, every shade you can imagine in a tree. Naturally, snow flakes are on trend too with the white colouring's being so popular this year and who doesn't love a snowflake, the bigger the better I say. Gold is forever a Christmas favourite, it hasn’t gone anywhere in fact this year if you have gold you need a lot of gold. Last but not least a favourite little trend I stumbled upon for your tree, is adding the chunky knit blankets we all know and loved over the cooler months this year to the base of your tree as a tree skirting to cover the legs. Very clever – loving this idea. If all of this has overwhelmed you, and between, work, school functions, Christmas shopping and the rest of your day to day chaos, you have no idea how you will ever find the time to pull together a tree this year. An alternative tree, may be just what you need, it’s a trend that may just save the day. You know the felt tree stuck to the wall with stick on decorations the kids can do - it will also entertain them for weeks. 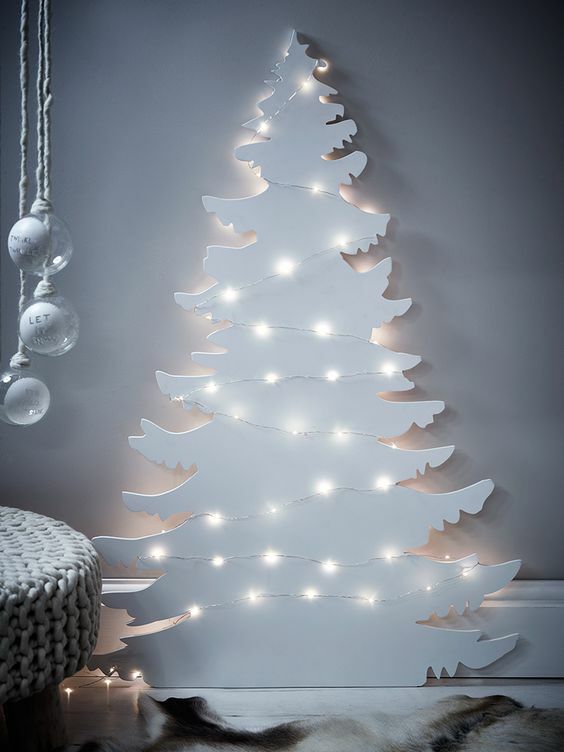 The cardboard cut out tree made arty, a tree created by lighting twisted into a tree shape on the wall… think outside the box and just tell others it’s a new trend… keep things simple use the minimalist approach !! So this Christmas keep things simple, it all comes down to personal taste and suitability for your décor at the end of the day. 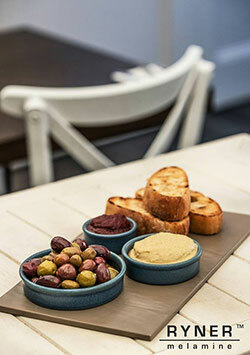 If your home is modern with neutral colouring's adding a bright blue tree might not suit. You may love the idea of a pastel rainbow tree or a simple traditional green tree with white, grey and black decorations may suit best. If you have kids and your all for a traditional tinsel tree with red, green and gold – go for it, tradition is always in when it comes to Christmas. Do what is right for your home and family and keep it as chilled and relaxed as you can. Have a very Merry Christmas from all of us at Hospitality Products and enjoy your Christmas planning it really can be a lot of fun. For more tips and sneak peaks into our Christmas - follow us on Instagram or Facebook while we continue to look at different ways to incorporate Christmas decorations into our table settings and more this season.